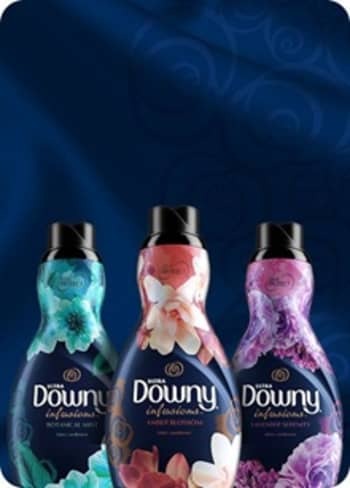 Which Downy Infusions Scent Is Right For You? 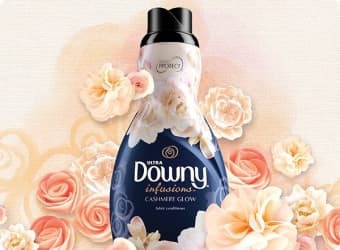 The touch-activated scents of Downy Infusions Fabric Conditioner give you the freedom to enjoy your favorite fragrances—whenever you want. Find your perfect scent below. Love beautiful florals? 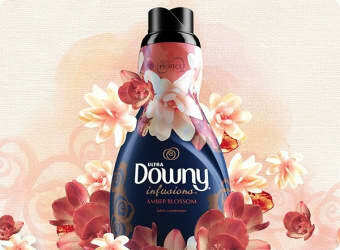 Fill your fabrics with the fresh scents of sophisticated gardenia blooms and comforting amber. Then try not to dive nose first into your just-washed basket of freshness. Buy now. How about the alluring freshness of a waterfall? Say, “yes!” to fabrics infused with the crispness of apples and pears and relaxingly rich, creamy undertones. Then, breathe in a lush fragrance that deftly balances a natural watery scent with a touch of sweetness. Buy now. 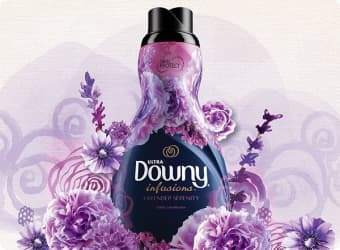 When we say, “enchanting,” you can now think, “laundry day.” That’s because lavender and soothing vanilla layer together to create a—dare we say—the sanctuary for your senses. Buy now. Treat yourself and your fabrics to the complex scent of pink roses, delicate jasmine, and notes of honey. 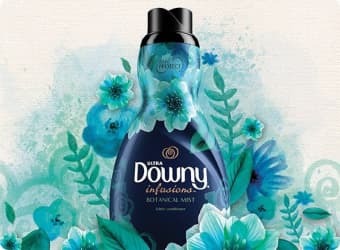 A fragrance that is both elegant and modern could be just the oomph your laundry is looking for. Buy now. 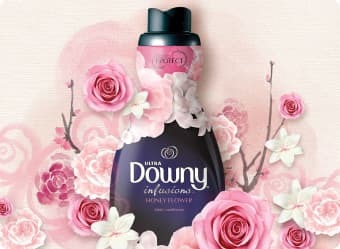 Want a rich, warm floral scent? Peonies meet calming vanilla to create this powdery-soft fragrance. 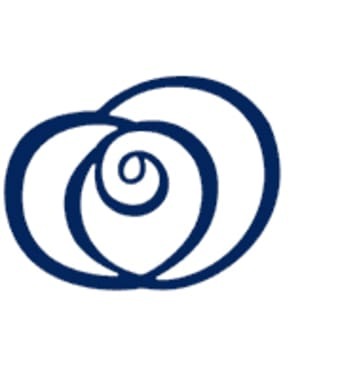 Your laundry experience will never be the same, and you’ll be just fine with that. Buy now. 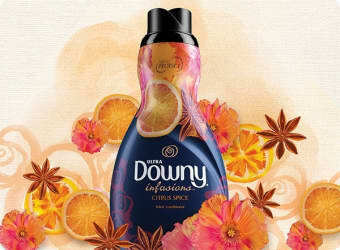 Create a lush, glistening orange grove in your mind… now do your laundry in it. That’s right, infuse your wash with a blend of warm island spices and citrus overtones, and never look back. Buy now. 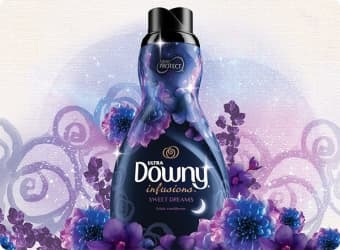 A dreamy scent for your linens, or for every single thing you can fit into the washing machine. 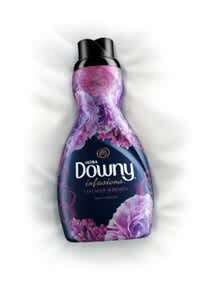 Fall asleep to the fragrance of tranquil lavender, rich vanilla, and the lightest touch of peach. You may hit snooze just for more sniffs. Buy now. 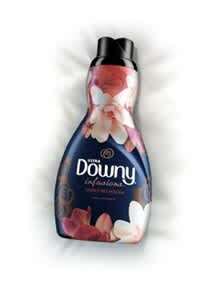 Just as conditioner protects your hair, Downy Infusions Fabric Conditioner protects your clothes. 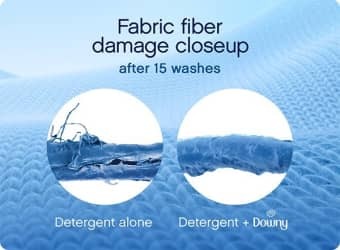 Downy strengthens fabrics and helps reduce friction during the laundry process, which helps clothes keep their original shape, helps reduce color fading, and helps reduce pilling and fuzz.